Alongside teaching, Complicité's creative learning department produces work that develops and expands upon ideas from the companys main productions. Workshops and residencies have taken place all over the world with people of varying interests, abilities and backgrounds, from professionals and students, to young people within and without the theatre community. Change Makers is part of the Barbican’s 2018 season, The Art of Change, which explores how the arts respond to, reflect and potentially effect change in the social and political landscape. 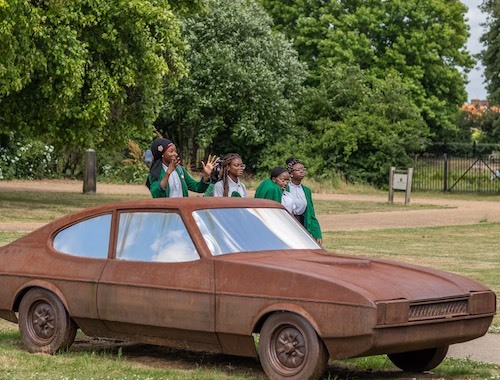 Complicité partnered with the Barbican and Sydney Russell School in Dagenham to produce Barking Nuns, a research project that looks at the role of women in religion, with a focus on Saint Ethelburga, the first female Abbess of Barking Abbey. Directed by Complicité Associate Joyce Henderson, we worked with 24 Year 10 Drama students who embarked on ‘research sessions’ at Valence House for three weeks, followed by practical workshops to explore ways of theatricalising their research for the stage. Ancient music specialist Belinda Sykes, from Joglaresa, led a choir of school teachers for six weeks who performed alonside the students at the Broadway Theatre, Barking. 'I’ve had the most wonderful experience I have ever had doing this project of Barking Nuns and I am so proud and honoured to be a part of this amazing show and to be able to work with the team of @Complicite & @BarbicanCentre !! An experience I will never forget.' Quote from a participant. Complicité Cooks is a series of food related events that celebrate cuisines from around the world and stories that go with them. 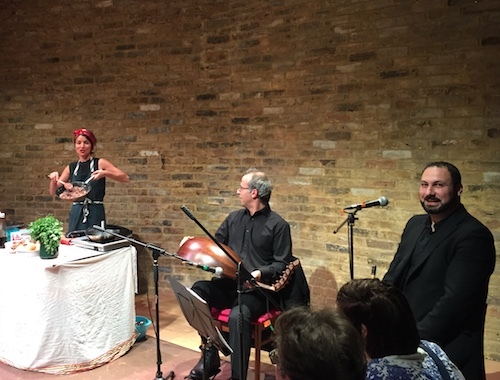 Complicité Cooks, Syria took place at Tara Arts Theatre in May as part of the I’ll Say it Again! Festival, a season of work by women artists. The evening celebrated Syrian culture with recipes and stories from the cookbook Syria Recipes from Home, accompanied by traditional Syrian music. Friends and passionate cooks Dina Mousawi and Itab Azzam co wrote Syria Recipes from Home, a cookbook that celebrates everything food and memory can mean to an individual, to a family and to a nation. The book was included in several Best Cook Books of 2017 lists, including Martha Stewart’s, The Guardian, The Times, London Evening Standard and many more. It received rave reviews on BBC Radio 4’s The Food Programme and Woman’s Hour. Set in 1970s Pointe Noire, Congo, Tomorrow I’ll be Twenty is ten year old Michel’s exuberant eye-witness account of growing up in post-colonialist, communist Africa. 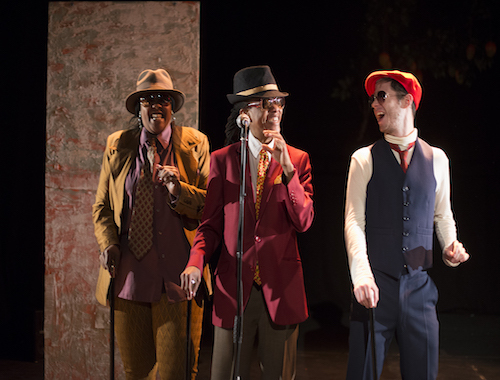 Devised by Complicité and the graduating students of Central School of Speech and Drama, the piece uses Complicité’s inimitable approach to ensemble storytelling to bring this captivating comic story to life. Originally performed at The Pleasance Theatre, London, in autumn 2017, Tomorrow I’ll be Twenty will be touring schools in West Yorkshire, accompanied by a practical workshop for students of devised theatre. Commissioned by Justice Project Pakistan and Highlight Arts. 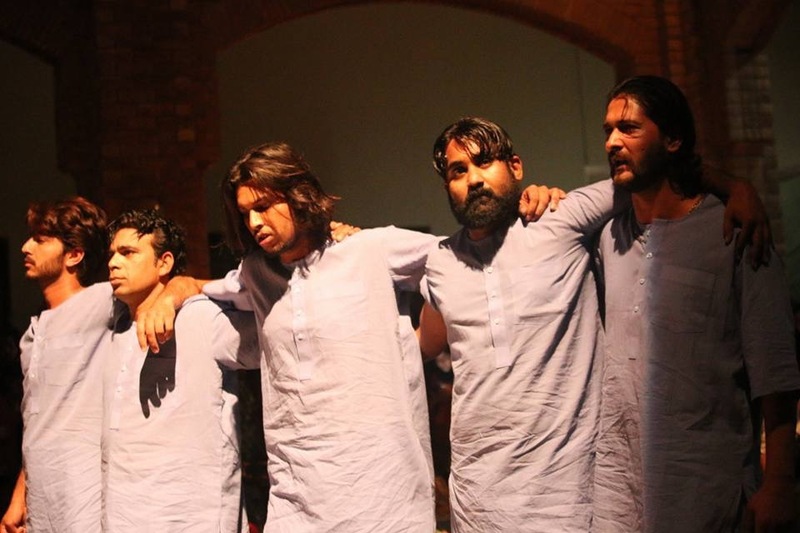 Complicité Creative Learning partnered with Ajoka Theatre in Lahore to devise a piece based on true stories from Pakistan's prisons. There are currently more than 8,000 prisoners on death row in Pakistan, making it a country with one of the largest death row populations in the world. Very little is known about the life of prisoners in Pakistan - even less about those on death row. One appalling aspect is the never-ending uncertainty and interminable wait: on average a death convict has to wait 11 years or more in prison before the State takes his or her life. In November 2016, Complicité ran a workshop in Lahore, with actors from Ajoka Theatre, to research the topic and develop ideas for a theatre project. The Company visited prisons, met prisoners on death row, family members, jail wardens, human rights lawyers and executioners. Rehearsals began in March and, in April 2017, Intezaar toured universities in Lahore, Faisalabad and Rawalpindi with the hope of engaging a young audience and opening up a dialogue about the corruption of the criminal justice system in Pakistan. Historically, children have had little control over how they are represented in photographs, whether amateur – the holiday snap taken by devoted parents – or commercial – the grinning toddler waking up from a dry night in Pampers. Adults, and adult concerns, have shaped our idea of what childhood looks like. Suddenly, with the explosion of the internet and accessible digital photography, young people from across the social spectrum are able to create their own images of themselves and do pretty much anything with those images – literally at the click of a button. Does the era of social media mark an increase in narcissism and image-obsession? Or does the rise of the selfie mean that children are finally able to take control of their own images? Seen and Not Heard is a participatory performance project which explores young people's experiences of photography, social media and to what extent they are in control of their images online. Created through a series of workshops, the performance sees the young participants running a working photographic studio, in which they take control of audiences as they dress, style and pose them for photographs. In 2016, Complicité made two versions of Seen and Not Heard, at artsdepot in August, and Southbank Centre's WHY: What's Happening for Young People? festival in October. Seen and Not Heard was developed in association with artsdepot and funded by John Lyon's Charity. If you could ask your mother one question about her life, what would it be? What is the most important thing a mother can pass on to her daughter? Like Mother, Like Daughter is a participatory performance project for mothers and daughters from different religions, which explores the lives of women across faith groups, the mother-daughter relationship and how these two things impact on one another in today's world. Like Mother, Like Daugher was first created for Montreal's OFFTA in 2014. Since then it has been recreated with new, local casts in London, Yorkshire and Toronto and will be seen in Cork in summer 2017. To date, more than 50 women aged 13 – 83, and with Muslim, Jewish, Christian, Hindu, Buddhist and atheist backgrounds have taken part. 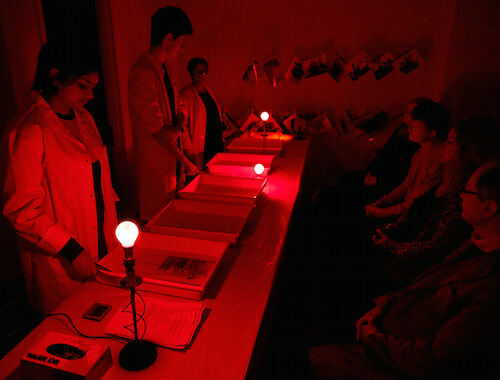 A collaboration between Complicité Creative Learning and Why Not Theatre, Toronto, and originally conceived by Ravi Jain, Rose Plotek and Poppy Keeling, iterations of the project have been supported by the Women's Interfaith Network, 3FF, Inlight Trust, Goldsmith's Company Charity and the Joseph Strong Frazer Trust. This is not a support group, but it will be supportive. This is not therapy, but it will be therapeutic. This is not the Intensive Care Unit, it's ICU. The ICU is a project designed to give cancer patients an opportunity to think critically about how cancer is discussed, advertised, treated and otherwise considered in public. Although we are surrounded by large scale awareness campaigns and an endless barrage of cancer fundraisers, as patients we are often left to our own devices to think through what it all means: personally, politically, financially, socially, culturally, spiritually. The Intensive Cancer University asks patients and those closest to them to engage in deeper, more critical conversations about 'the big C' and uses art (theatre, literature, film) as an impetus for conversation, for peer-to-peer knowledge transfer and for (eventually) raising the level of discourse around cancer nationwide. The ICU is led by Complicité and Brian Lobel and ran throughout 2015. An investigation into the impacts of using drama in the mathematics classroom. The Embodying Mathematics project is a Key Stage 2 curriculum and professional development project. It is a collaboration between Complicité theatre company and the Mathematics Education Research Group at Sheffield Hallam University and is supported by the John Lyon’s Charity and the Paul Hamlyn Foundation. Embodying Mathematics activities are informed by movement and drama principles and offer pupils and teachers different and enriched ways of learning mathematics. The project brings together activities developed in Complicité’s successful school based maths/drama workshops and a number of body-based activities and approaches developed by mathematics educators. All activities align with the Primary Mathematics National Curriculum. Following a year of design work with schools in London, Complicité is now working with schools in London and Sheffield to further develop project materials and to assess their impact on pupils and the project's results will be available in early 2018. "The resources were fantastic! They were well made, realistic and engaging. The level of engagement from the kids was amazing - they really enjoyed it and coming to see the play at the end was a great way to finish the topic. I also really enjoyed teaching it!" "They really loved the project and are delighted to keep 'discovering' letters and folders. The work they have produced so far is very good and their engagement levels are through the roof - they can't wait for literacy lessons!! Thanks again for this." Kidnapped is an interactive classroom adventure based around the story of Lionboy, and covering key areas of the Key Stage 2 literacy curriculum. Developed with Zizou Corder (the authors of the Lionboy trilogy) the project starts with participating school groups receiving a letter from Charlie, the hero of Lionboy, telling them that he is setting off on a dangerous mission and he needs their help. Over the project’s four weeks, children complete a series of challenges to help Charlie get safely home. 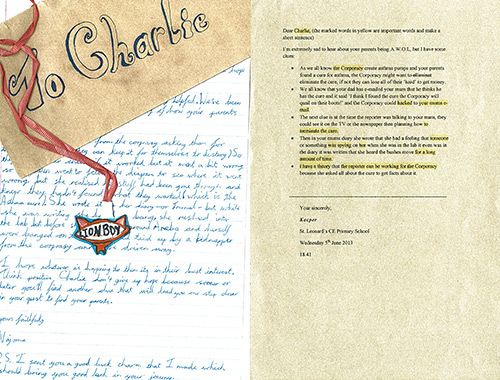 Participating schools receive weekly letters from Charlie, a series of supporting materials (with clues and evidence – maps, photographs, newspaper articles etc.) and teachers’ guides, with suggested lesson plans and a breakdown of how challenges relate to the curriculum. 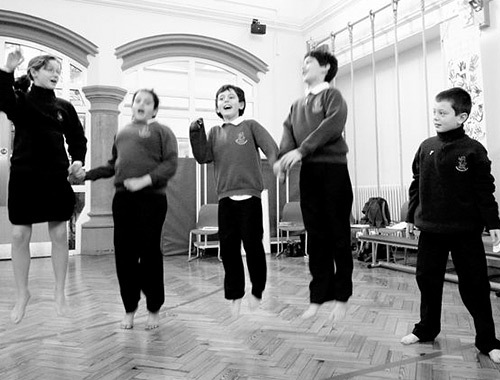 30 schools and community groups across the UK took part in the project's first outing in 2013, with all the children coming to see Lionboy at the end of the project. KIDNAPPED is supported by Complicité, Liverpool Everyman and Playhouse, Warwick Arts Centre and Wales Millennium Centre. 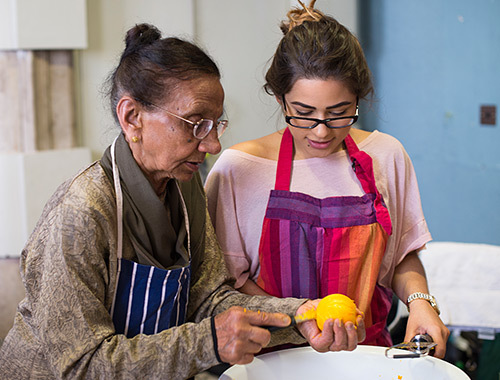 Tea is a unique intergenerational arts project that brings older and younger people together to recapture the stories and traditions passed down through families. 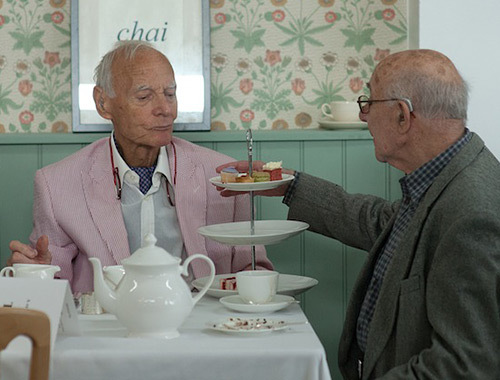 In May and June 2012, the project was piloted at Dora House for Over-55s in St John’s Wood, London. The project saw tenants at Dora House working with design students from Wimbledon College of Art and Central St Martins, and young chefs training at Le Cordon Bleu cookery school to transform the building's communal lounge into a fully functioning pop-up tearoom. Over the course of the 8-week project, participants told stories and collected recipes, cooked and ate together while they honed their perfect afternoon tea menu, and then, in the final stages, re-designed and decorated the communal lounge at Dora House. The resulting tearoom was then opened to the public for three days in June, and became the setting for a dreamlike performance designed and directed by Pilgrim and inspired by memories of afternoon tea. Tea was conceived in a collaboration between Complicité and Geraldine Pilgrim, in association with Central & Cecil Housing Trust and was made possible by a grant from The Baring Foundation. 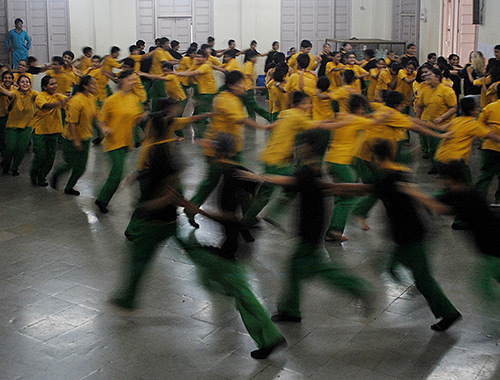 In July 2010, Complicite travelled to Mumbai to run Hive Mind, a week-long workshop with 22 teachers brought together from schools across India. A unique interdisciplinary Maths/Drama project led by actress and mathematician Victoria Gould, Hive Mind sees up to 1,000 school children create a human beehive in a spectacular ensemble performance. Hive Mind builds on the work developed in the Maths/Drama workshops, which use drama pedagogy to explore mathematical principles, and to explode the myth that maths, and learning maths, is boring. Taking the beehive as the perfect example of a world shaped by rules and systems, Hive Mind is a five-day workshop in which participants look in depth at the honey bee and its habits and then practically explore their learning by devising a performance based on these habits. On the final day of the workshop, the core group of participants teach their ‘bee habits’ to up to 1000 further children, who then perform their swarm in a mass performance.